| | Minnie *1883 ?? 2) oo 1856 Mequon, Ozaukee Co.
Found marriage in Milwaukee County in 1850: Charles (Karl?) Roggenbuk and Maria Malbrath. Census from 1880 point out, that the children where born in the USA. That means that this family came before 1865 to the States! 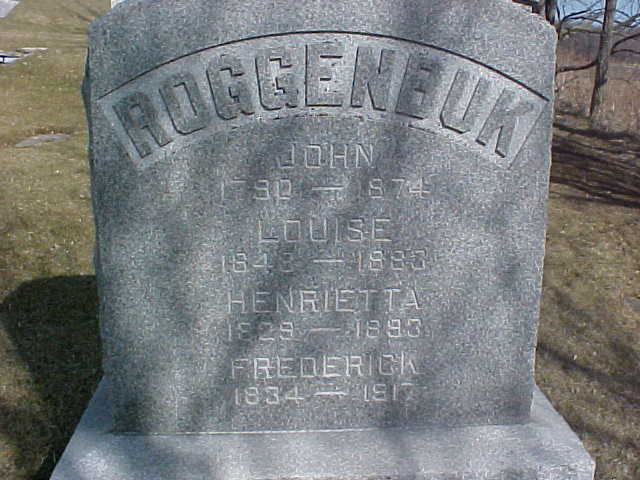 In the 1860 Census I found a John Roggenbuck born approx 1794. He lived at Sheboygan County/Wisconsin. In the same page I found also a Frederic Roggenbuck born approx. 1833. This could be Fred and the mentioned John could be Johann Roggenbuck that left in 1839 Pommeria. This family lived in Lima. Added Wilhelmina to this family tree. Source Census 1860. Added Charles with aquestion mark. Census 1840 shows a John Roggenbuck in Buffalo Ward 4. Further more it shows three males children and two female children. Only the age range is given. One boy is 5 to 10, 15 to 20 and one is 20 to 30. One girls is 10 to 15, the other is 15 to 20. 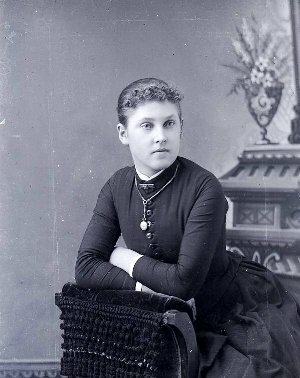 This family came in 1839 to the States and moves later to Wisconsin. I believe that this family belongs to the tree Leroy Roggenbuk Milwaukee. William on both tables could be the same person, although the birthdates are not exactly the same. Most of the time the birth or marrige dates are recalculated or estimated. Any help is apprectiated.